Early in the day, 316 page views. How informative! I don’t think there are many blog owners out there who aren’t interested in how many people are viewing their content, after all, you went to all that trouble to write it. I like to keep an eye on this blog out of pure interest, especially on those days where it might jump a few thousand views and you have to rummage around looking at what might have gone viral. So, I decided I’d try and find a way to use my Raspberry Pi to display my daily page views, using something a little less barbaric than my previous screen-scraping techniques that you might have seen here before. I found a WordPress API, worked out how to use it, and then pushed this data on to my very own ZeroSeg display board. I wanted to use a ‘proper’ API this time as hitting & scraping the same webpage over and over is a little bit ‘average‘ for this ‘average maker‘. I’ve heard that you can get your IP blocked and all sorts of nasty business. 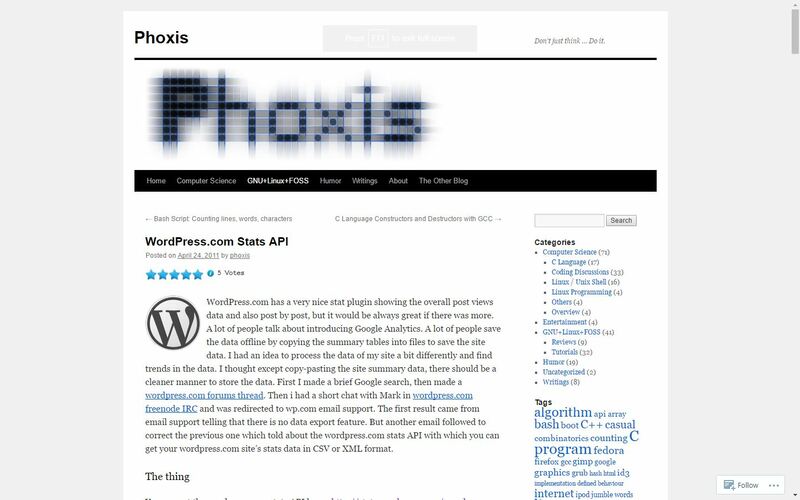 A quick Google for ‘WordPress API’ brought up this page which gave some examples. I still had no idea how to use an API but dived in head-first hoping for the best. It turns out an API isn’t something you install, doesn’t come in a box and certainly isn’t available from Tesco. It just looks like any other URL link, but contains stuff that makes the magic happen. I’m not sure if all APIs are the same, but this will do for my initial learning. So I assumed all I needed to do was change the API key and my blog URL, but where can I get my WordPress API key? I remembered that I entered an API key into my Askimet plugin when I installed it on this blog. Askimet is a spam comment blocking plugin for WordPress, which I assume most bloggers on the platform will be using. Checking against my WordPress stats, it was correct! At that point in the day I had 316 page views. Smashing! My API was working, so the next task was to pull that data into a Python script so that I can use it in a project. I’m using urllib2 again, which I used in my social network monitor and high tide tracker projects. This library can read the raw source of a web page and return it as lines, which is perfect for this API as it returns a super simple page with just 2 lines of data. 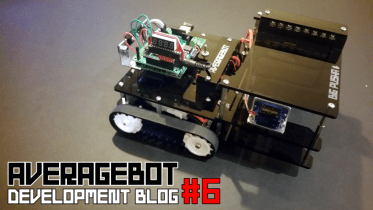 I designed the ZeroSeg earlier this year, which I released in partnership with The Pi Hut, so I figured it was about time I made a useful project with it. I wanted to display the view count on my ZeroSeg, and then have that on display in my office at all times. It’ll let me know if views are low (something might be broken) or high (maybe someone shared a post and it’s popular). Adding the ZeroSeg into the mix was very easy, thanks to the clever library originally made by Richard Hull. Some new functions he recently introduced make displaying static strings super easy. print "-------- REQUESTING DATA FROM API --------"
There are a whole bunch of other WordPress API options you can use – it’s not just restricted to page views. Checking the original source of my WordPress API info, it seems there are options to pull back things like the last 500 days of page views, group views by week and other useful stuff. There are also more ways to display this data on the ZeroSeg. I’m going to tinker with the on-board buttons to allow me to select which view I want to display – by day, week, total, the time, date…anything I want! If you’re reading this, then you’ve just made the number change on the display in my office. That’s pretty cool huh?! 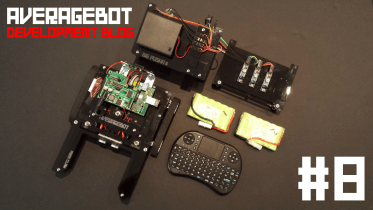 Now, on days where I don’t access WordPress and I’m not writing anything, I can still get an idea of what’s going on via my little Pi Zero and ZeroSeg board. I guess now’s as good a time as any to start exploring other APIs. I thought they’d be hard to use but it turns out it’s easier than a lot of the other things I’ve done with the Pi. 3 Comments on "Display WordPress Page Views on a Raspberry Pi"
I got to have a go at this. Thanks for such a good article. 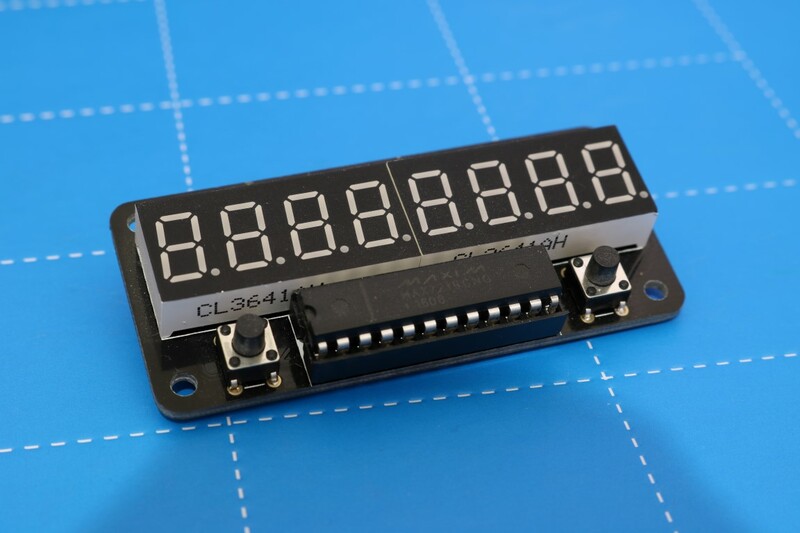 The ZeroSeg Display is a well documented board. Easy to install. I love it. 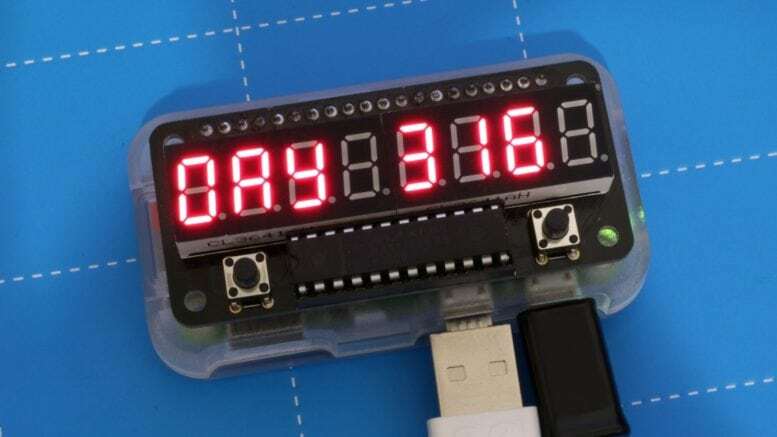 Can multiple ZeroSeg Displays be addressed from one Raspberry Pi? Hi there, i am trying to display data from MYSQL on to the Zeroseg LED, Can you please help me how to do this .